The Corporate HR Champion Awards are conferred to organisations which have achieved the Corporate HR Awards on at least 3 occasions. An organisation should have demonstrated continuous, effective, creative and proactive HR & people management practices in the many areas of HR to be considered a role model, yardstick and ‘champion’ for others to emulate. The Corporate HR Awards are bestowed upon organisations that have achieved overall effectiveness in their HR and people management practices, thus contributing to the needs of businesses, the profession, employees, industry and the nation. To be eligible for the Corporate HR Award, the applicant has to demonstrate effective, creative and proactive HR and people management practices in at least 4 categories. This must include at least 1 category each from the Leading HR Practices, Special Category and Business HR Awards. The HR Advocate Awards are conferred to organisations which have achieved the Leading HR Practices, Special Category or Business HR Awards on the same particular category for 3 years with reference to a period of 5 consecutive years. (E.g. Leading HR Practices in “Learning & Development” in 2013, 2016 and 2017). The term “Advocate” is used to accord organisations which have shown drive, support and excellence in improving a particular aspect of HR, thus setting new benchmarks and standards for others to emulate. This Award is to recognise human resources who are instrumental in enabling company in its pursuit of being a purpose driven organisation. A purpose driven organisation is one that demonstrates the ability to mobilise people towards a common purpose beyond the pursuit of profits. Using organisation life cycle as the basis for discussion, share how Human Resources power up the business for success. This Award is to recognise human resources who are instrumental in enabling company to be either 1) Disruptive or 2) Innovative, or both. A disruptive company is a business that achieves hyper growth, changes the industry status quo and transforms the nature of competition in the marketplace. An innovative company is an organisation that consistently develops its strategic innovation capabilities, nurtures an innovative culture and introduce innovative products, services and business models to win the marketplace. Using organisation life cycle as the basis for discussion, share how Human Resources power up the business for success. This Award is to recognise human resources who are instrumental in enabling company to ramp up their operations by equipping the business with the right talent at the shortest possible time. Using organisation life cycle as the basis for discussion, share how Human Resources power up the business for success. This Award is to recognise human resources who are instrumental in enabling company to have a sustainable high performance culture. They are able to support the company's growth by upscaling the human resources in both capability and mind-set so that the company can continue to grow in the VUCA environment. Using organisation life cycle as the basis for discussion, share how Human Resources power up the business for success. Companies must be in operation for at least 5 years. Certification is based on companies' annual financials, which have to be verified by auditors to be true and fair for all 5 years. This Award emphasises talent identification, staffing, manpower planning, deployment, management and retention, recruitment and selection strategies and programmes. It seeks to achieve and nurture potential successors while effectively utilising its resources to ensure continuity of business needs. This Award emphasises on its value proposition as to how they communicate its identity to both potential and existing employees. A positive employer branding encompasses its organisation's mission, values, culture, personality and as a great place to work. This affects recruitment of potential employees, retention and engagement of existing employees, and the overall opinion of the organisation in the market. This Award emphasises the measurements and management of performance of employees and business, and how metrics are developed and used to improve and award performance. The compensation, salary, benefits and rewards management programmes must be aligned with the business needs such as cost effectiveness, business growth, retention and etc. This award emphasises the ability of the organisation to engage the employees on various fronts to create a positive and harmonious work environment. This means having programmes and systems in place to ensure a good tripartite relationship between employer, employee and union (if applicable). Effective use of Communication Strategies and Change Management Strategies are usually key to this success. This award emphasises the ability to correctly represent the organisation's value proposition to both existing and potential staff. A positive employer branding means that the organisation has a good reputation in the market, giving the notion of being a great place to work. This will affect the organisation ability to attract and retain talents. This Award emphasises on the application of a set of objectives that is aligned with values of the organisations by utilising big data to analyse and engage its employees, while enhancing their performance and profitability. The usage of technology is used to obtain insights that are most valuable to companies in enhancing recruitment & retention, employee engagement, productivity & KPI management, compensation & benefits. This Award emphasises the organisations’ commitment to behave ethically and contribute to economic development, while improving the quality of life of the workforce, their families, local community, society and the environment at large. To be considered effective, corporate social responsibility must be an integrated part of the day-to-day business operations. This Award highlights the organisations’ good practices in supporting fair employment. The organisation has to show evidence that recruitment and selection of employees are based on merit and it provides employees with equal opportunity for training and development. It has to demonstrate that employees are fairly rewarded based on their ability, performance, contribution and experience. The organisation also has to put in place a progressive human resource management system that ensures fair treatment of all employees. It also has to abide by labour laws and adopt the Tripartite Guidelines, which promote fair employment practices . This Award emphasises programmes that seek to help employees achieve effective quality work-life, through balancing work and personal life in order to increase employee satisfaction, productivity, performance and retention. It also seeks to inform employees of health-related issues and matters and at the same time, provide a platform and/or programmes that enable employees to have good physical and mental health. This Award emphasises programmes and systems that seek to ensure high health and safety standards regulated by the Workplace Safety & Health Act to ensure workplace health and safety for the employees. This Award is bestowed upon a CEO who demonstrates the ability to support, champion and endorse effective and innovative HR practices in the organisation that addresses employee and organisational needs. The CEO should also illustrate personal leadership and integrity in driving diversity and flexibility in the organisation. This Award is open to all individuals who have served the same industry and organisation for a minimum period of 3 years. This Award is bestowed upon an individual who demonstrates outstanding leadership capabilities to oversee, conceptualise, initiate and implement innovative HR practices that position the HR function as an e ective strategic business partner that contributes to the success and achievement of his / her organisations’ business strategy and goals. This Award is open to all individuals who have a minimum of 10 years of working experience in the HR field. This Award is open to all individuals who have served the same industry and organisation for a minimum period of 3 years. This Award is bestowed upon an individual that demonstrates the ability in aligning business objectives with employees and management in designated business units. This individual should demonstrate as an employee champion and organisational change agent. The individual has the ability to best use of the whole HR function and acting as a strong role-model for the rest of the team. This Award is open to all HR Business Partner individuals who have a minimum of 8 years of working experience in the HR field. This Award is bestowed upon an individual in a managerial capacity who demonstrates the ability to conceptualise and implement innovative HR practices that address the issues of human capital management and development. The individual has demonstrated qualities of leadership in the highest professional manner to the benefit of their organisation, and in doing so, contributes to the development of people who are closely integrated with the organisation’s business strategy. This Award is open to all individuals who have a minimum of 5 years of working experience in the HR field. The first of its kind in the nation, this award emphasises on recognising Journalists whom has covered Human Capital related articles in Singapore. In today’s changing business environment, the media has an important role to play in bringing difficult issues to the front of people’s mind and providing analysis. HR management issues continue to be high on the agenda for all businesses and informative, fresh-thinking journalism continues to provoke debate and add to our knowledge and understanding of these issues. (Freelance) Professional journalists based in Singapore. This category is self-nominated. 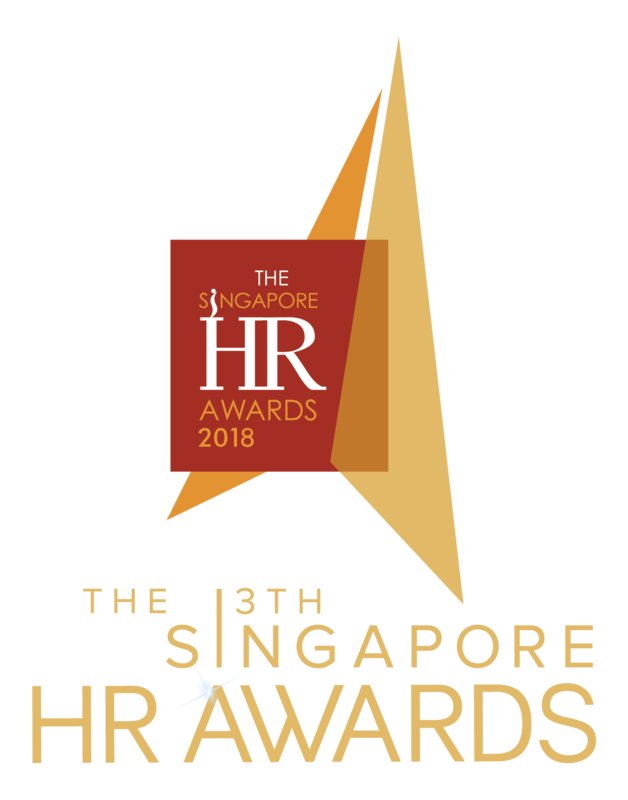 FOR THE SINGAPORE HR AWARDS 2018 NOW!